1. 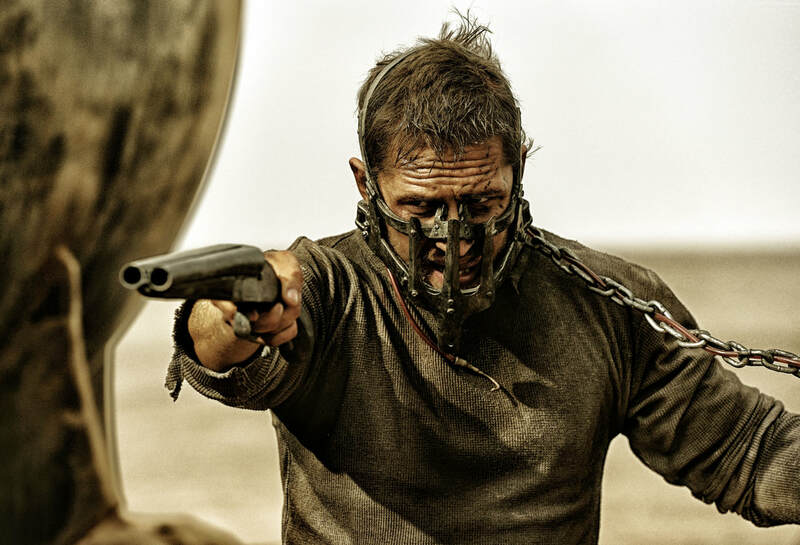 Tom Hardy only needs his eyes to act. 2. People who watched it at the cinema enjoyed it more than naughty people who watched it online. 3. Be prepared for a jumping timeline. 4. My Grandad was at Dunkirk. 5. Harry Styles. Harry Styles. Blah blah blah …Harry Styles. 1. Tom Hardy really can act with just his eyes. 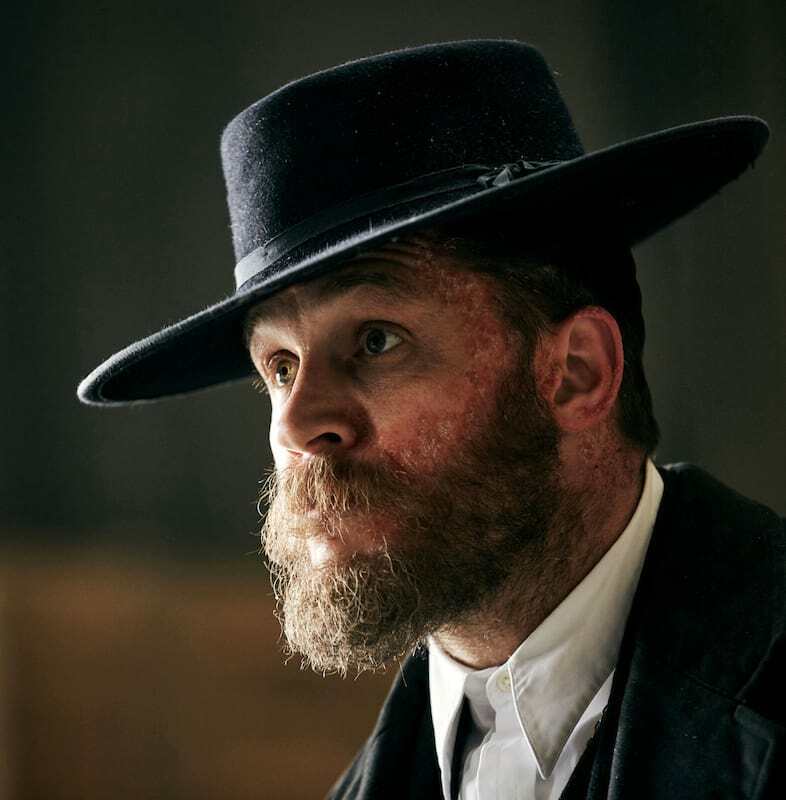 Whether it’s Bane’s pain killing mask, Mad Max’s gardening fork muzzle, or a great big bushy beard in Peaky Blinders and the Reverant, we know from experience that Tom Hardy can’t rely on the use of his lower face for a lot of his performances. Dunkirk was no exception. 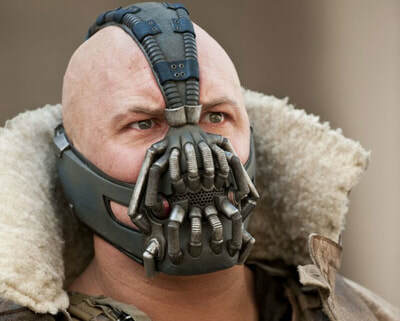 When this was picked up on in a recent interview with Batman and Dunkirk director, Christopher Nolan, he told the Press Association “I was pretty thrilled with what he did in The Dark Knight Rises with two eyes, a couple of eyebrows and a bit of forehead”. In Dunkirk, Hardy plays Farrier, a fighter pilot who wears a historically accurate pilots helmet for the majority of the film. The casting of Hardy with his proven track record of acting with just his eyes is crucial to the success of this character in the film. There are moments throughout where Farrier loses communications with his fellow pilots and, as he is on his own in his plane, there is limited opportunity for the character to even speak. Despite this, the audience still has a rare opportunity to glimpse into the rollercoaster of emotions that a WWII fighter pilot might have felt. The adrenaline building as danger approaches, the short lived relief of dodging enemy fire, the trauma of watching your friends plane fall out of the sky, the focus required to target and fire at a German plane, the rush when the shot lands and the horror of realising you’ve run out of fuel are all conveyed convincingly. 2. Why the cinematic experience suits this film. So the majority of folk I spoke to before seeing the film had enjoyed it. However…there were a few that were apathetic in their response. I’m going to take an educated guess and put this down to two things. The first being the large amount of media hype that surrounded the build-up and release of the film. Some just didn’t enjoy it as much as they were told that they would. The second is that those that watched it without the full cinematic experience were not bowled over. I would recommend to anyone to see it at the cinema. There isn’t an iconic theme tune like The Dam Busters or the Great Escape and there are no epic scale Hollywood style visual shots like in Pearl Harbour or Saving Private Ryan. Yet the sound and cinematography work to make the viewer feel like they are invested in the action through the horror of realism. There are times when the sky is grey but the protagonists are full of hope and there are other moments where the sunbeams are breaking through the clouds but it feels like all is lost for the men on the ground. The weather backdrop is as inconvenient to the storylines as it is to us all in everyday life. 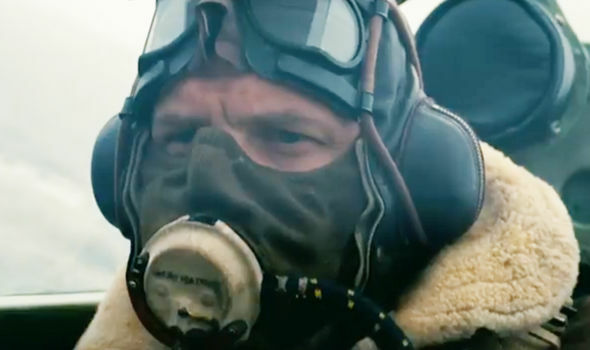 There are action scenes (including air battles) but the majority of shots are directed to focus on the individual in the scene and their point of view of Dunkirk. This means that when we are following Farrier, we see large aerial shots of multiple planes in the sky or boats in the sea and when he approaches the beach we see the vast amount of men from a long distance shot... this reflects that a pilot would have literally seen the bigger picture. Whereas close shots of pockets of action are used to follow the stories of the men on the beach and when we are with the men on the fishing boat, the scenes are mostly confined to what they would have seen on or from that boat. Hans Zimmer’s soundtrack provides a constant underlying ticking clock that brings a constant sense of time and urgency when needed. This tick gives way to represent a thudding heartbeat in tense moments of inaction where men are hiding from the enemy and gives way to a fast beat in moments of action. Adding to the sense that this is really a horror film, but what is most horrific about it is that you know scenes like the ones we're experiencing in the cinema actually took place. The score and scale of some of the shots can’t be replicated in the same way on a laptop screen as they can at the cinema and I think watching in the comfort of your own home probably loses some of the horror felt in the cinema screening. You don’t see anyone die but you know. No back stories, no love stories, no names. 3. Wibbly wobbly timey wimey stuff. Time is not shown in a strictly linear fashion in this film. This storytelling tool isn’t used in the usual way to fill the audience in on a character's backstory. There are no backstories, there are no love-stories, we don’t even learn the names of most characters. Some of the men on the screen have known each other a while but many are brought together abruptly by their experiences at Dunkirk and anything we, as an audience, know as much about the men’s past as many of the men will ever know about each other. And yet these people are bound together and relying on each other for survival. Similarly we only know as much about the battle and evacuation stategy as the men involved in it do at any particular point throughout the film, which is often very little. The changes between timelines can sometimes be missed if you’re not looking for them. At the beginning of the film we are shown 3 settings and told about the three timeframes appropriate to each location. The men at the beach are there for one week, the fighter pilots is only in the air for one hour and the fishing boats take one day to cross the channel. I had an epiphany about half way through the film. Dunkirk actually happened and despite this being a dramatization of the event, Nolan did consult with historians as he developed the story. Some characters, particularly high ranking ones, are based on real people and their records and stories from Dunkirk. I knew my Grandad Norman was at Dunkirk and I suddenly realised that if some of these men didn’t get off that beach then I wouldn’t exist! My sister, my brother, my dad, my auntie and my cousins also wouldn’t exist! This definitely contributed to my investment in the film. After the credits had rolled as I was leaving the cinema I overheard a lady telling a stranger in the bathroom that her dad was at Dunkirk and then started chatting about the effect the film had on her personally. It made me realise that there must be thousands of people watching the film that are descendents of the men who were there. The events shaped the outcome of the Second World War and therefore have impacted our lives today, we are all the legacy of what happened at Dunkirk and that’s why it was so important this film was done right. My grandad (above) would have been 20, 7 years younger than I am now, when he was at Dunkirk. He went on to live a long life, surviving until he was 90. He had a family, he continued to travel abroad with them after the war. He was a member of the Royal Engineers meaning he was usually the first in building bridges for the army to cross and last out after the royal engineers destroyed the bridges so the enemy couldn’t follow. He would speak about some of his positive experiences, such as building relationships with German civilians (something you don’t get taught about at school). He didn’t often speak or reveal many details about the horrific realities of his war but my mum (who saw the film before me) confirmed that it matched the bits he had told her about his experience of Dunkirk. 5. If Ed Sheeran was the bull and Game of Thrones was the china shop then Harry Styles is Cinderella’s foot and Dunkirk was the glass slipper. I honestly expected Harry Styles to stick out like a sore thumb. I expected his appearance to be a bit cheesy or gimmicky. Despite big name veteran actors on the credits like Cillian Murphy, Kenneth Branagh and Tom Hardy, the rookie Harry Styles’s name dominated a lot of the press coverage on the run up to the films release. He doesn’t have the standout roll of the film but his performance worked. He didn’t seem out of place. That’s all I need to say about it really. 6. Everyone is a hero and a villain and, no-one is a hero or villain. Don’t get me wrong, this film does contain heroic selfless sacrifices and also seemingly selfish actions for personal gain. But what the film really gets across is that these men are literally fighting, the enemy and sometimes each other, for survival in a situation that they were flung into. The film deals with additional unsavoury topics such as death, PTSD, racism and shame. For example, when we are initially introduced to Cillian Murphy’s character (referred to in the credits simply as “shivering soldier”) he demonstrates traits that seem cowardly and he flits between being unable to speak or move and having violent outbursts. One of these outbursts has a deadly consequence. Your first response is to hate the character because of this but as we go through the film go through we understand that the shivering soldier is suffering from PTSD. In summary the overall theme was about getting on with it all and about the people who found themselves there. This film managed to portray that somehow without glorifying or demonising individuals or the concept of war itself. It's a historical film and undoubtedly my family history has definitely influenced my reaction to the film. However, I think this is one of those rare movies that will resonate with all audiences, regardless of age. And how many war biopic films can say that?